Our latest documentary film is breathtaking. But behind every film is the story of how it was made. This is the story behind Lost Generation of Sudan. We encourage you to watch our film above before reading our story. May 27, 2014. Juba, South Sudan. “Get out of the car,” said the soldier. Everyone looked around. Five soldiers armed with AK-47s and AR-15s had surrounded our vehicle carrying our team of four Americans and two Sudanese in a side alley off of the main road. Everyone began to comply. “Not you,” said the soldier in charge to the young man in the driver’s side back seat. Everyone got out and stood as calmly as possible underneath their watch. Two people stayed in the car. The soldier in charge walked around to the back glass window and motioned to our team leader in the very back of the vehicle who hadn’t gotten out yet. He looked around, weighing the options. This wasn’t a good situation to be in. The U.S. embassy was on the other side of town. He wasn’t sure what would happen to his teammate in the seat in front of him if he left him alone. He looked back at the soldier and shook his head no. After a few tense moments, the soldier walked back around to the side of the car. Passports were closely examined. Questions began getting asked. “Are you spying for the government of Sudan? He looks Arab,” one of the soldiers says, motioning with his gun to the man in the back seat. Our Sudanese counterparts begin explaining what the group is up to. The soldiers look at the young man in the back seat. His friend behind him whispers quietly to stay calm and not to make any sudden movements. Smile and act like this is just another day. The two Sudanese men breathe a sigh a relief. It looks like the film team is about to be allowed to go on their way. One of the soldiers walks up to the back seat and hands the passport back. “You’re American, huh?” he asks. The American in the seat nods his head yes. The soldier leans in closely and holds his gun up. “If you’re lying, I’ll f—-ing kill you,” he says. A tense moment follows. Then the soldier starts laughing hysterically. Everyone starts to nervously laugh with him. A few handshakes are given. People get back in the car. They’re on their way. The threatening soldier stops laughing and glares at the car as it drives off. “Well, that was fun,” says the team leader from the back of the car. The Sudanese in the front seats chuckle. If you are an outsider with a camera spending at least a few weeks in South Sudan and Sudan, at some point you will have a gun pointed at you. It’s sadly inevitable. 99.9% of the time you get to walk away after showing your passport and explaining what you’re doing. Most documentary films coming out of war zones are created by veteran videographers and producers who have a rare skill for capturing incredible stories while cheating death time and time again. Not us. Sure, we have a ton of talent as a team, but we’re still learning how to navigate situations like the one above. We’re not the heavily tattooed, cigarette-smoking, bulletproof vest-wearing journalists depicted in Hollywood films. We’re a bunch of guys in our 20s who grew up in white, middle-class suburbia. Just being honest. The only reason we travelled half a world away when we didn’t have to is because our friends in Sudan asked us for help. By months, countries, dollars, and people. Preliminary planning began in January of 2014. The Executive Director of Operation Broken Silence Mark Hackett brought our team together and partnered us with another team that was going to South Sudan to work with church leaders who are seeking to end South Sudan’s civil war. 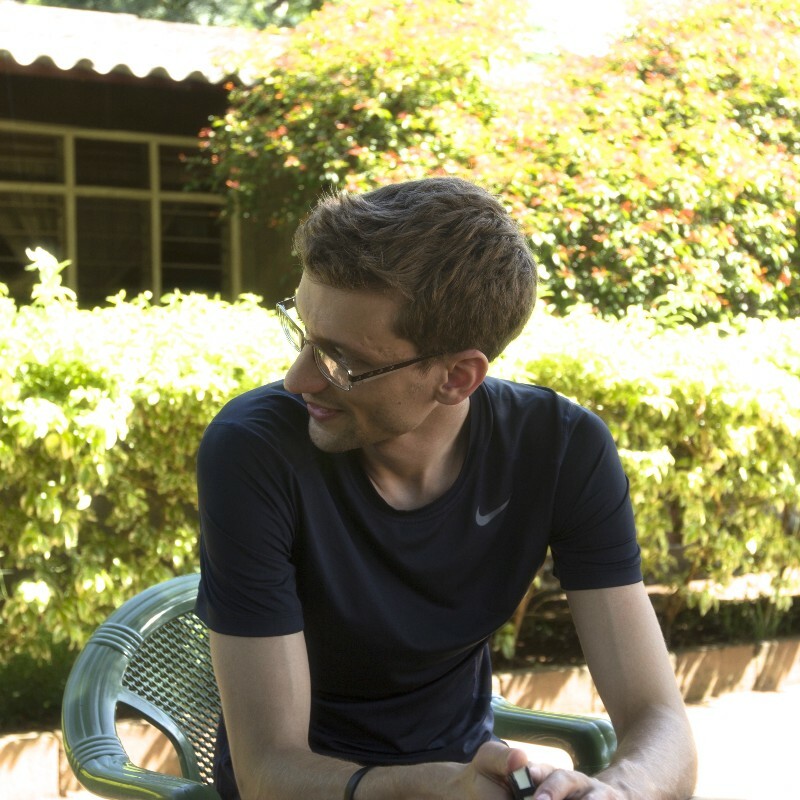 Mark’s business was further north though, in the Nuba Mountains of Sudan. Few people want to go there. Even fewer people get there. Mark is the Executive Director of Operation Broken Silence. He’s the guy that makes sure everything stays on the rails and that our movement stays focused. 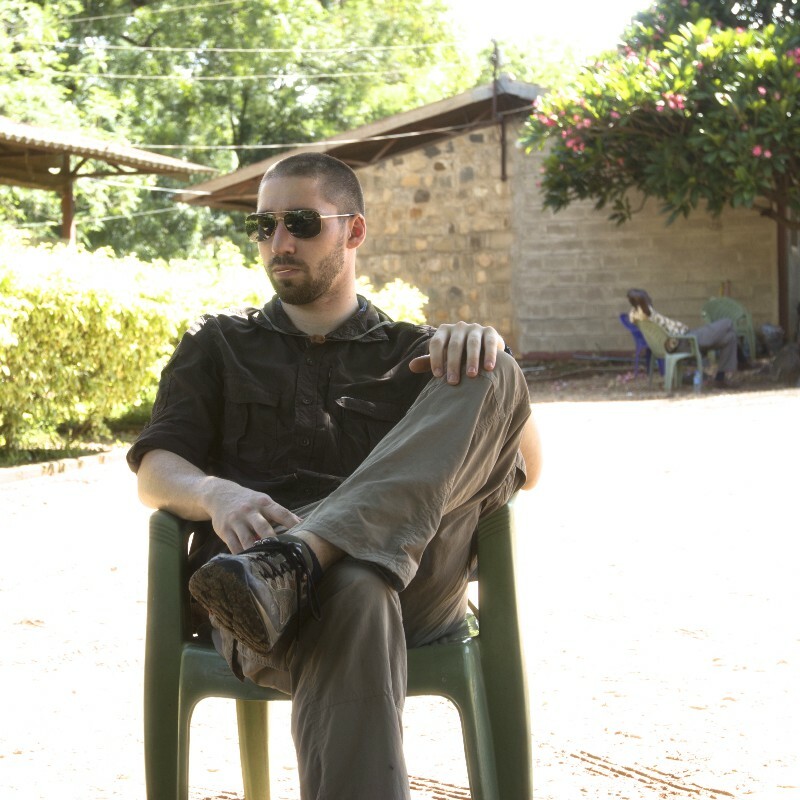 He’s been working on Sudan-related stuff for the past six years and is one of the few Americans to have visited the Nuba Mountains of Sudan. Josh is a freelance media guru and longtime supporter of Operation Broken Silence. He’s worked on everything from commercials for major brands to documentary films. He also does graphic design work. He’s crazy talented and lives in Nashville, TN if you need some media stuff done. 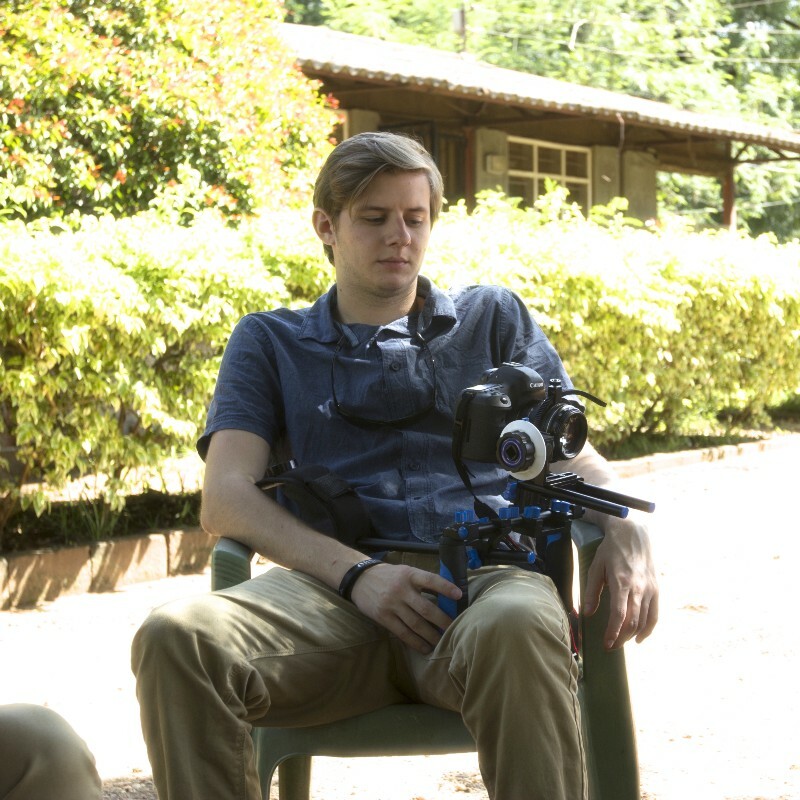 Witt is the guy behind the camera/lights and designs most of our shorter campaign videos you’ve seen. He’s responsible for some of the most breathtaking images in Lost Generation of Sudan. He works for a small tech company here in Memphis, TN and volunteers with us quite a bit. Jordan is the guy who raised most of the money we needed to make this film. More on that later though. Jordan has been a longtime supporter of Operation Broken Silence. We asked him to tag along due to his medical/first aid experience and to handle audio during interviews. He jumps out of airplanes in his free time. 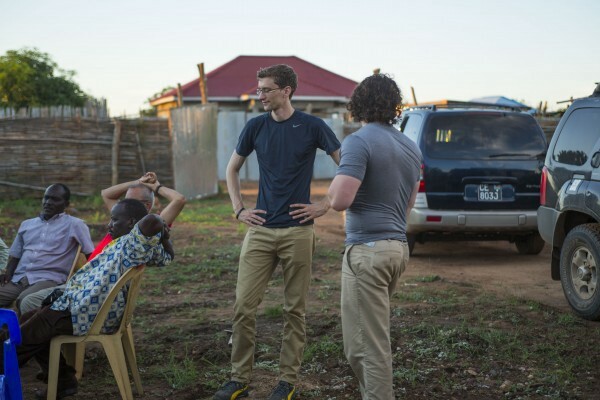 While Mark began working out the logistics of getting us over to South Sudan and across the border into the Nuba Mountains, the rest of us focused on preparing ourselves for the journey and getting the resources we needed to make this project happen. And this is where our story starts. We went outside of the box so we could tell this important story. Money was the biggest thing we needed. Between shooting the film and all the post-production costs, we budgeted ourselves at needing $26,500. We needed it fast too. Our friends responded with amazing generosity. Even people we had never met began giving. Hundreds of people watched Jordan’s video. Many of them gave what they could, even if it was only a few bucks. The rest of the money we needed came in through the other team members. 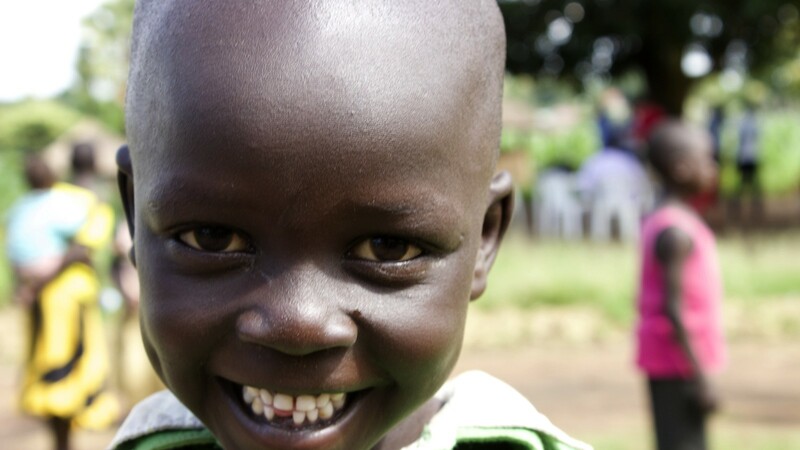 Plane tickets were purchased and friends in South Sudan prepared for our arrival. Final planning was completed. Our hopes were high. Despite the ongoing civil war in South Sudan and the devastating conflict further north in the Nuba Mountains of Sudan, we had transport secured directly to a refugee camp in South Sudan where many people from the Nuba Mountains had fled to. Our plan was to arrive in the camp and then head north into the Nuba Mountains for three days to document the war and interview the people living through it. It was the third week of May 2014 and we were boarding a plane for South Sudan. By the time we arrived two days later, the situation on both sides of the border had drastically deteriorated. And nothing was going to go according to plan. When things are so bad that local partners aren’t even going in, you listen to what they have to say. It’s amazing how much can change in two days. 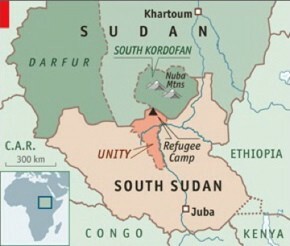 Fighting hit a new high in Unity State, South Sudan between the warring factions in the northeastern part of the county. Our plan had been to fly over Unity and drop in right on the border. With planes and helicopters now getting shot at in Unity, pilots didn’t want to fly anymore. Meanwhile, across the border in the Nuba Mountains, the government of Sudan’s bombing campaign against innocent people had rapidly escalated. Rumors were circulating that the government of Sudan was preparing to attack the refugee camp we were heading for on the border. Almost all transport from Juba to the northern border was cancelled. What few options remained were so expensive and dangerous that even veteran journalists and aid workers balked. Operation Broken Silence’s local partners and contacts were pretty clear: getting to the northern border right now wasn’t possible. We came prepared with backup plans to get to the Nuba Mountains. Within a week and by the end of May, those were exhausted too. With only six days left before our return flight to the United States, a local partner mentioned there was one refugee camp that was hosting hundreds, if not thousands, of war orphans and homeless children from the Nuba Mountains that we could reach. Frustrated and with no other options, we decided to go there. We made it though. And the story we found was as incredible as it was shocking. An exodus of children has been pouring out of the Nuba Mountains since 2011. Many watched their parents die. Some never made it to South Sudan. We’ve already made the film and have a written version of the story as well. Once again, this is the story behind the story. This is the story of our interaction with these children and what it was like capturing their experiences on camera. 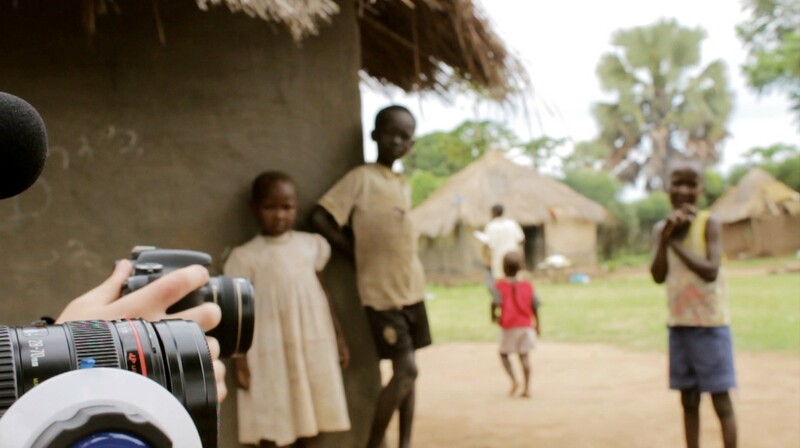 We filmed for two days in this particular refugee camp. Our first morning we started fairly early. It was surprisingly cool and quiet outside. If you were walking through the camp without talking to anyone, it would be hard to tell that most people here watched a loved one get brutally murdered at some point in the last three years. One of the first things we noticed was the sheer number of children wandering around. We were assured they had a place to eat and sleep, but many mothers were looking after 20–30 kids. Why? Most fathers are fighting back against the government’s vicious attacks in the Nuba Mountains. Some mothers had stayed as well. Sadly, some of these children watched their parents die. Literally, they watched. Our first day we interviewed mostly community leaders to get some backgrond content and eyewitness testimony to Sudanese government war crimes on camera. Later that afternoon we interviewed several children of a variety of ages. The younger children under the age of ten were not very talkative. Most of them weren’t capable of discussing the crimes they witnessed. While most of our interviews with community leaders went well, our interviews with children and war orphans were barely getting any information. The majority of the time, asking children to explain what they saw and what they want led to them simply not saying anything. They would just shut down. Late that afternoon we received a phone call. 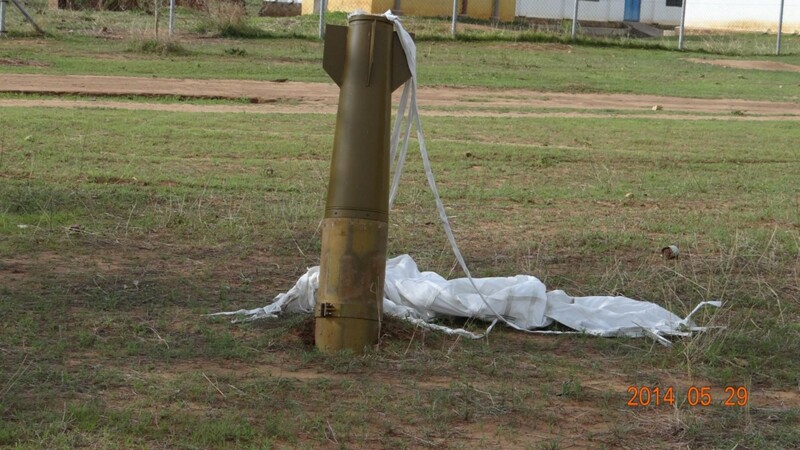 Kauda, the stronghold of the Nuba people, had been bombed 77 times over the last 24 hours. Mark looked at our original schedule. We would have been in Kauda at the time of the bombing. There’s a good chance we wouldn’t have lived through it. That night, Mark and Jordan joined two community leaders and one of our partners. They talked late into the night about the situation in Sudan, what these children were dealing with (or not dealing with), and how we could best tell their story. With only one full day left to film, we decided to risk everything and take a different approach to how we would tell the story of these children. So the people get the support they deserve. If you keep up with Sudan, you are well aware that virtually all of the reporting coming out of and about the country is downright depressing. It makes sense that information about Sudan is presented this way. After all, things in Sudan passed “bad” years ago and have only gotten worse. Because of this, it is very easy for news agencies, NGOs, and individuals to fall into the trap of telling a negative narrative. But this type of storytelling has a powerful side effect that has steadily weakened the impact activists and organizations have on changing international foreign policy towards Sudan. “Most activist leaders outside of our movement tell a version of the Sudan story that is purely negative, thinking that the horrors of the conflict will drive people to action. It actually tells people who can and want to help that the situation is hopeless. This takes away people’s desire to help. There’s no incentive to help if there is no hope. We have to be in this for the long haul, which means we have to reject the current model of how we tell the story of Sudan. We need to give people a real reason to get involved. We’re already growing because we’re moving in this direction. Let’s move faster by showing that there is hope. It exists. It’s there. Let’s show it to the world. For all the bad that is happening in Sudan, there is also a lot of good. Our last day of filming we wanted to show the good in these kids and the hopes that they have. We wanted to tell the story they wanted to be told. The resilience most children are born with is a truly amazing thing. These kids have suffered a lot and they didn’t or couldn’t talk about it in their interviews. When we asked them if they wanted to play though, you would’ve thought that these kids grew up in a perfectly normal environment. So, for three hours, the entire community forgot about the war. We forgot about what these kids had been through. We decided to be normal, if it was only for a little while. Overworked mothers and distressed community leaders sat in the shade and laughed as Sudan’s Lost Generation played tag. Endless mobs of children chased us and our cameras around. Everyone laughed. Everyone relaxed. For a few hours, we were all one big community. One human family of Sudanese and Americans. This is what the government of Sudan can never take away from these children: who they are and what it means to be a kid. You can bomb their homes. You can kill their parents. You can target their schools. But when asked, they’ll still play. They’ll still be kids. That can’t be taken away. The children started opening up to us. They want to be doctors and teachers. They want to make Sudan a better place. They’ll do whatever it takes. They are THE hope of Sudan. It was now almost time to go. The children kept playing as we sat down for the interview that would define the film. 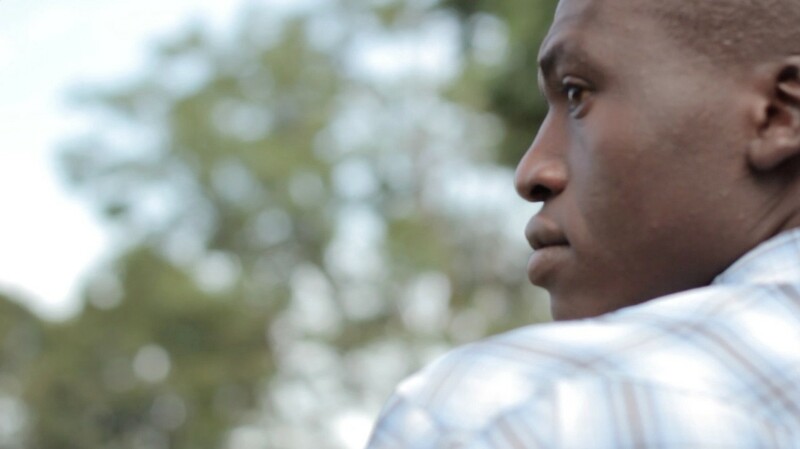 Jargi Joseph is a teenage boy who fled the Nuba Mountains in 2011. He is the young man that defines the film. If there is a singular face for Sudan’s Lost Generation, his is it. You can read Jargi’s story here. This is the story of Sudan the world needs to here. Yes, the situation in Sudan is still terrible. But there is hope. These kids are the only thing that can change the future of their country. And you can help them do it. The film we hadn’t planned on making ended up being the story that needed to be told. Here’s what happens next. Lost Generation of Sudan was not the film we set out to make. Our plans failed because we were needed elsewhere. In fact, it’s possible we’re still alive to tell this story because our plans didn’t work out. People we know and don’t know invested in us so we could make this important film. We couldn’t have done it without them. Everything truly happens for a reason. 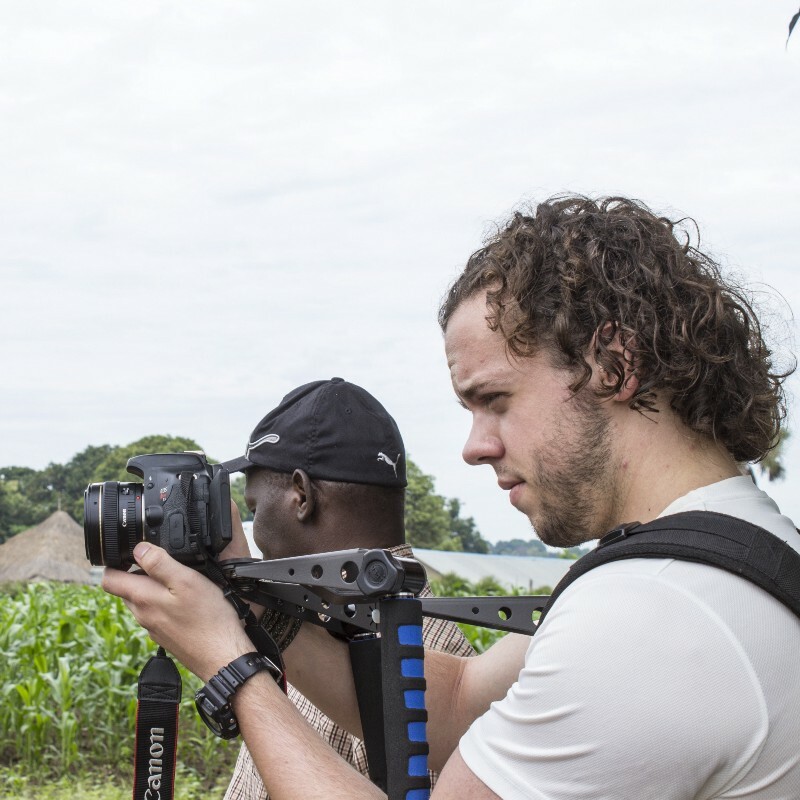 By the time Lost Generation of Sudan was completed in the editing room, our team had put over 3,500 volunteer hours into making this film and spent literally every penny of our budget. We believe it was worth it too. This is an important story no one else is telling. Stories are what drive so much of our world. They are one of the only things that can make us experience every type of emotion. Our best societies are often those that have the best stories of how they came to be. The story of the Lost Generation of Sudan isn’t over. In fact, it’s just beginning. What happens with these children in the next 10 years will define the next 100 years of Sudanese history. The way Sudan is today is not the way it always will be. One day, these children will have a brief window of opportunity to change Sudan for the better. We can help them prepare for that moment. Visit our website to join the Endure Campaign. This is your call to become a part of something bigger than yourself. Join the Lost Generation of Sudan to that end. Operation Broken Silence is leading a global movement for peace and justice in Sudan through innovative programs. We began working in Sudan in 2012 and we’re not going to stop until the Sudanese have the future they want. We invite you to join us at obsilence.org.